*Rings : Little Findings | *Mug : Yonder Living | Colouring Book : Amazon | Pens : Amazon I saw a great quote the other day, I can’t actually reference it because I didn’t do my usual screen shot, but it really resonated with me. I love quotes that point out the most simple, everyday things and make you look at life from a different perspective. “Write two lists, a list of your day to day routine and a list of what makes you happy. Adjust the first list accordingly” Reading this just reminds me how much I go into auto pilot mode in my day to day life. You shouldn’t have to take time out to make yourself happy and indulge – obviously that’s a lovely thing to do but if it’s something that you have to make time for then you usually won’t do it. Why not adjust the things you already do to bring you happiness on the reg? Here’s a few things on my list and what I do to make myself happier: Breakfast – I get up slightly earlier to make a lovely healthy and warm breakfast. It sets me up for the day and doesn’t actually take much longer than making a slice of toast! Drive to work – I make myself a cup of tea to have on the way whilst I listen to Nick Grimshaws show – I find him so hilarious and there’s nothing like laughing hysterically on the way to work to put you in a good mood! Drive home – I listen to queen bee – she helps me to leave work at work and put my sassy hat on Bedtime – This one I find the hardest, I try to go to bed earlier and switch of from social media. I’ve started making time to read before I sleep, I love reading but never seem to do it anymore Do you make time for things that bring you happiness on a daily basis? If not what are you going to change? Follow me on Bloglovin’ and bring a little more happiness to my day! I was a bit apprehensive about our holiday in Greece, don’t get me wrong we were going for my big sisters wedding and I was nothing but extremely excited for that! We were however, staying in a 6 bed villa, all 7 of us. It was going to be the first time we’d all been in a house together for more than a day in a good few years and it definitely could have gone either way!! Clearly, I had nothing to worry about! We all got on like a house on fire, duh, we’re family of course we did! Honestly it really opened up my eyes to how much I take my family for granted, yeah I still live with my parents so I see them everyday but I don’t really see them properly, truly enjoying their company and taking in the moment. My sisters, I’m lucky if I see them once a week and I never see the whole family in the same room except for Christmas and Easter! We’ve always been a close family, I honestly have no secrets! But as we’ve grown older we’ve grown apart slightly, I know that’s to be expected but when we all live in the same town it’s down right ridiculous to not be seeing each other more often! So with this new found revelation that, actually, we all like each other and get on pretty damn well, I decided to organise a family dinner at least once a month. We haven’t had one yet but I’m going to make sure we do and that we keep doing them! I also thought I’d take this opportunity to share with you some of my holiday snaps from the villa, my Mum really hit the jackpot when she booked this pastel beauty! Do you still have family holidays? How do you stay in touch with your family? 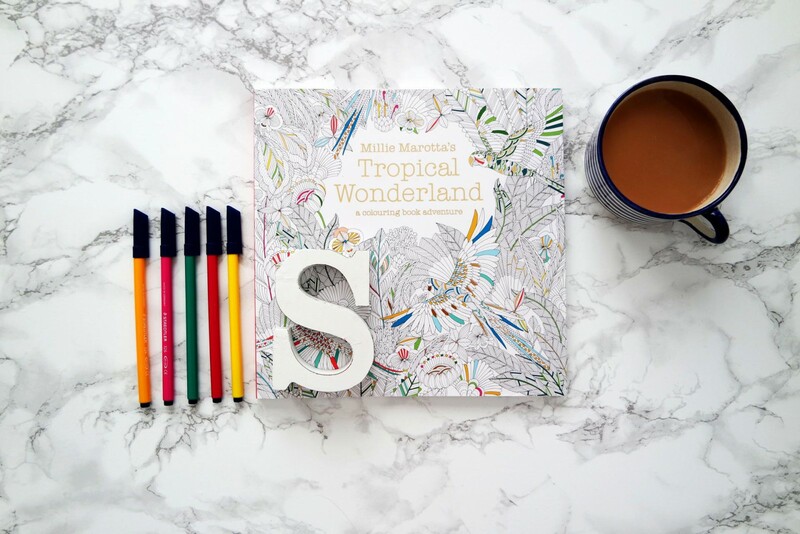 Don’t forget to follow me on Bloglovin! Do you dread buying gifts or are you like me and love spending time deciding on exactly which item the person in question will love, excited to see the look on their face when they open it? Well, if you’re like me, you’re going to love Wish Want. A new website which allows you to put together your own kind of gift catalogue complete with explanations on why you chose that exact gift. You select the amount you want to spend, pick a few gift options, load it with money, and then you can send it in paper form or by email to the birthday girl (or boy). So it’s kind of like a gift voucher, but they have to pick one of the items you so carefully selected. Then the lovely people at Wish Want send their choice direct to their house, perfect! I think it’s a great idea, I hate the idea of just giving someone money as it’s so thoughtless, but this way, it’s like money in the sense that you can’t go wrong, but they know you’ve put some thought into it! The lovely people at wish want let me try out the service and I think it’s great, I’ll 100% be using it in the future and I got a great book that I’ve been wanting to get my hands on for a while now, can’t wait to read it on my holiday! Go and have a look at their website, it’s also amazing for just treating yourself, the goodies are incredible!